I have read so. many. good. books. this year. Half the time I finish a book and think, "This is one of the best books I've read this year." I don't know if I have just gotten really selective or what but there have been very few duds (and those I just returned to the library without finishing. Life's too short for bad novels or yawn-inducing non-fiction). This was an impulse Barnes and Noble purchase. It was like $6 in the store (it's more expensive on Amazon, boo) so I grabbed it based on the title alone. I got 4 chapters in and ran out and bought two more copies as gifts for a couple feminist friends who I knew would appreciate it. 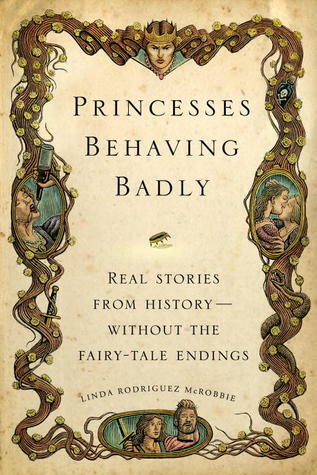 The chapters are each short-ish stand alone tales of princesses in history and mythology who didn't fit the standard princess mold. There are warrior princesses, mentally ill princesses, murderous princesses, and princesses who ran off with the wrong guy (a couple different times). History can often be too dry for me but McRobbie injects a lot of humor into her writing and I really got into the stories. Also, I really appreciated the bite-sized nature of the chapters- you could sit and read a ten page tale and then go on with your day without having to remember long strings of names and dates and places. Unfortunately, I didn't QUITE finish before I accidentally forgot this book on a nightstand in a Vegas motel. It's possible the last couple chapters were abysmal but going by the 90% I DID read, I'm not too worried. If I come across it again in B&N I'll buy yet another copy. I debated between including this one or the also excellent The Righteous Mind (which you should probably also read!) 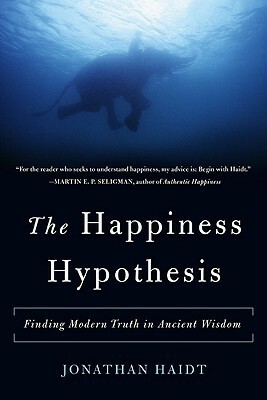 but ultimately decided on The Happiness Hypothesis mostly because I felt like so much of it was applicable to my life and things I have experienced. I've talked to several other people who have said it's one of their favorite books for that reason so I know I'm not alone in that. There's philosophy, religion, economics, psychology, and cognitive science all stirred together and poured out in a wonderfully accessible and cohesive portrait of what happiness is and how to improve our own happiness levels. Chunks of the book feel a bit self-helpy but I don't think it's really a self-help book. There's definitely information here that could help you make positive life changes but this was definitely more of a psychology or philosophy book for me (my fav). 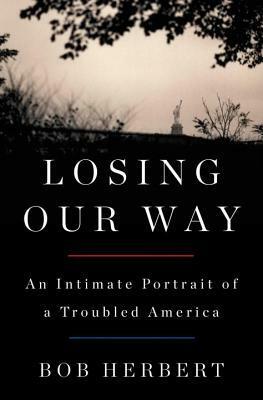 The author, Bob Herbert, was a New York Times columnist for 18 years and he quit in order to write this book. I listened to this one and I just remember hiking in the mountains one morning and thinking, "omg I get it." It's no secret that I'm not a Trump supporter but this book helped me finally understand people who are. I found myself a little irked at Obama for not tackling some of these issues and I could see how people might have seen Clinton as more of the same and why they might not be interested in that. He talks about the collapse of America's infrastructure (I have no desire to cross a bridge ever again) as well as the economic collapse and plight of middle class and the poor. It was incredibly well researched and offered a fantastically well written perspective of an America that I didn't see or understand before. I spent the past couple weeks binge-reading the CRAP out of this series. 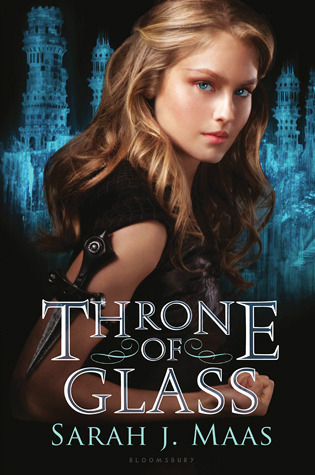 It's not new- the first book came out in 2012 and the fifth book came out last year- but for some reason I only JUST heard about it a couple months ago when I overheard my mom and sister talking about it. Fantasy isn't usually my jam so it took me a while to get around to picking up the first book. But when I finally did, hoo boy. My family didn't hear from me for a while. Pop Tarts for dinner kids, mommy's busy! The main character is a badass female assassin. There are witches and demons and secret identities and kingdoms to save. Also: a parade of love interests. High five to Maas for keeping things unpredictable in the love story arena! There are also plenty of secondary characters that I actually care about and that doesn't often happen for me in books like this. I'm currently number 83 on the list for the fifth book and I am dyyyying to know what happens next. There are several more that I could link here but my kids are begging to make cookies and I'm not one to turn down the opportunity to eat cookies. As I was looking at the books I've read so far in 2017 the vast majority are non-fiction. I could use a really good novel- any fiction recommendations? Or, if you want a fluffier summer read, anything by Liane Moriarty. Her books seems very chic-lit-esque, but they are well written and page turning and thought provoking in addition to being fun. What Alice Forgot is my favorite.